This is the Great Planes Deans Ultra Parallel ESC to Single battery Pack. This can be used with 2 esc's that will draw no more than 30 amps each. 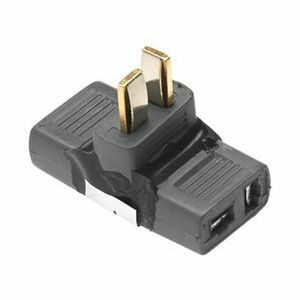 1 Male to 2 Female Adapter.